PLEASE TAKE NOTICE that the Board of Power County Commissioners will conduct regular business meetings on the 2nd and 4th Mondays each month during calendar year 2018, unless a legally recognized holiday falls on those Mondays, in which event that meeting will be scheduled for another day. This notice is being provided pursuant to Idaho’s Open Public Meeting Act (I.C. #67-2343). 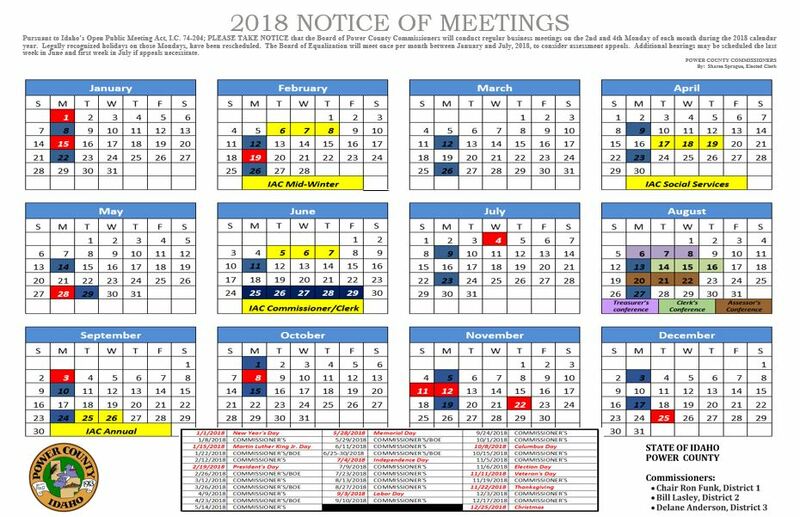 Click here to download the 2018 Power County Commissioners meeting calendar.